I honestly can't believe this house is still on the market. When it was first open some 70 days ago, I expected it to be sold in no time flat. It was my hands down favorite new listing at the time. Apparently, I wasn't actually wrong that it would sell quickly. Seven days after this beauty at 4349 Cedarhurst Circle in Los Feliz went on the market, the status was changed to pending. I don't know why this property fell from grace but it was back on the market as of November 11 and still it sits. 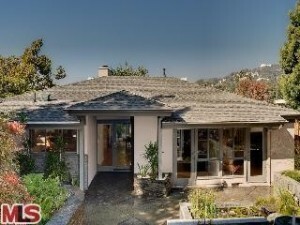 Silver Lake, CA Moreno Highland Foreclosure in the Ivanhoe School District Listed for only $888,800! 3 Bedroom, 2 baths in Silver Lake's Ivanhoe School District less than $520K?